. . .It is seldom, indeed, that an illustrator enters so thoroughly into the spirit of his text. The grace, delicacy, urbanity, tenderness, and humour which went to the making of Perrault's stories must, it seems, have also gone in somewhat similar proportions to the making of these delightful drawings. I am sure that they would have given pleasure to Perrault himself. nce upon a time, there lived in a certain village, a little country girl, the prettiest creature was ever seen. Her mother was excessively fond of her; and her grand-mother doated on her much more. This good woman got made for her a little red riding-hood; which became the girl so extremely well, that every body called her Little Red Riding-Hood. Edit Riquet with the Tuft - review of a Perrault fairy tale that is mystifyingly not a Disney movie. Boy oh Boy these are more authentic. Some of the stories have moments of more blood and gore. I read to fill my Early Modern slot in my personal Classics Challenge. I chose this format--audiobook--because this is format I could borrow from library service Hoopla. 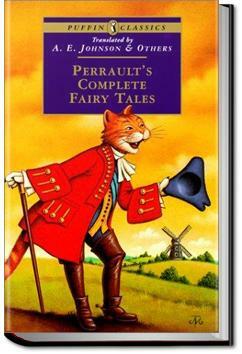 Not having read any of Perrault's fairytales before, I didn't quite realise what I was in for... And people say that Grimm's fairytales are gruesome - huh, think again and read Perrault's!